For more than two decades, hungry folks from Wilson and beyond have started their day with a hearty breakfast from the drive-through at Flo’s Kitchen. 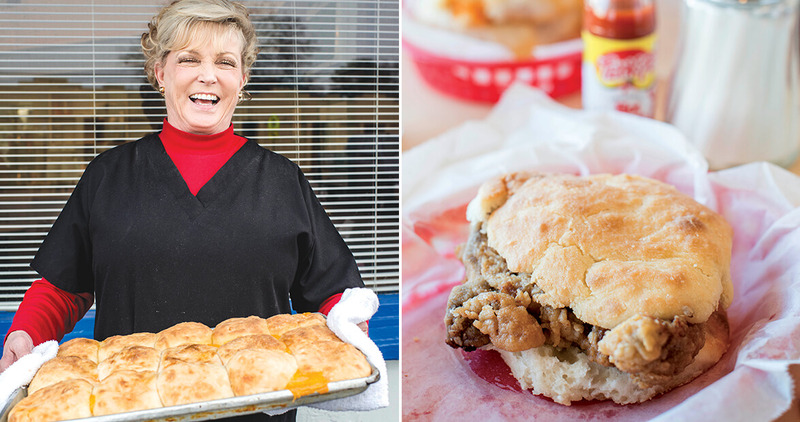 Linda Brewer likes to tell her customers, “Mama said that we were giving folks a buffet on a biscuit.” Mama was Florence Williams, namesake and, with her daughter, cofounder of Flo’s Kitchen in Wilson. The buffet is the array of breakfast meats one can get piled sky-high on a biscuit. Ah, yes, their famous biscuit. That would be one of the enormous biscuits that put, and keeps, Flo’s on the map of great Tar Heel breakfast joints. Linda explains that Flo’s serves cathead biscuits, so named because they are the size of a cat’s head. Given that Flo’s biscuits are the size of an outstretched hand, that’s one mighty big cat. Good homemade biscuits require a lot of hand-holding, and those at Flo’s are no exception. It takes two hands to make them, and two hands to eat them. Beginning at 3 a.m., Tuesday through Saturday, the bakers pat out and shape each biscuit by hand rather than stamp them out with a cutter. One by one, bakers form the biscuit bottom, add a mound of grated hoop cheese, and wrap the dough around it so that the dough encases the cheese. The remarkably uniform biscuits are oblong when they go onto the baking pan, but they cozy up while baking and emerge from the oven with slightly squared-up sides. Often, a bit of the bright orange cheese escapes along the side or the bottom, where it turns into a delightfully crisp, toasted bonus morsel. Flo’s Kitchen opened with a flourish on October 30, 1990. Flo was already famous in Wilson for the biscuits she’d been baking at other eateries, so her daughter encouraged her to open her own place. They set up shop on a bustling five-point intersection in a modest, century-old building that once housed, among other things, a gas station. On the very first morning, cars and customers stretched down the block as far as the eye could see. 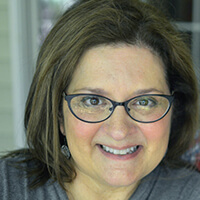 The three biscuit bakers could barely meet opening-day demand, so Flo hired and trained five more during that first year. She personally trained each baker until she passed away at age 80, and each generation of bakers continues to train the next. Linda makes sure that there are always enough bakers to keep the restaurant fully staffed, with two on standby for backup. One of the secrets behind Flo’s famous biscuits is hidden in plain sight: stacks and stacks of empty, upturned lard buckets along the side wall of the restaurant. Flo used lard because she liked the old-fashioned taste, but it turns out that lard biscuits are not only tender, but also sturdy and well-suited for sandwiches. They hold together without crumbling when split and amply stuffed in Flo’s signature style. No one can accuse Flo’s biscuit behemoths of being skimpy. Friendships between the staff and the regulars are sustained by a few minutes in line each morning, year after year, biscuit after biscuit. Fillings include eggs, chicken, bacon, ham, and old-fashioned sausage links, but no filling is more popular than Flo’s pork tenderloin. Each piece is hand-cut, dredged in seasoned flour, and fried to order. It takes two hours of prep work each day to make enough to last through a shift. “The way we do it makes it different, makes it special, and people appreciate it and want to come back,” Linda says. The beckoning scent of cooked pork that perfumes the air in and around the restaurant probably doesn’t hurt, either. The biscuits rule, but Flo’s Kitchen also offers breakfast plates and other items, like French toast, grits, and hash browns. For those seeking something sweet, they make sweet potato biscuits, another of Flo’s original recipes, on Wednesdays. The bakers add mashed canned sweet potatoes to the dough and top the hot biscuits with powdered sugar, which melts into a sticky glaze, giving the biscuit the flavor of a good honey bun. From 4 a.m. to noon five days a week, things stay hopping at Flo’s. The owner, managers, servers, cashiers, cooks, and bakers — all women, as it’s been from the start — fill the tiny kitchen like worker bees in a hive, moving and swirling around one another and the hot ovens and cooktop as efficiently and smoothly as though choreographed, each knowing her role and her arm’s reach. There are a few small tables and booths inside the snug dining room. Each table sports salt-and-pepper shakers and a bottle of hot sauce for those who want to add a little peppery twang to their tenderloin. Clippings from newspaper and magazine articles about the place dot the walls, along with a large framed photograph of a beaming Florence Williams, captioned with an engraved plaque that reads “#1 Biscuit Maker.” Eat-in patrons carry their tickets up to the counter to pay on their way out, where the cash register sits flanked by carryout containers of homemade cake on one side and two bins of changemaker candy on the other. A handwritten sign states emphatically that all transactions are cash only, but that’s not difficult considering that, even now, a biscuit all-the-way is only a couple of bucks, an astonishingly modest increase over the original $1.10. Linda reports that 95 percent of her business these days is drive-through. “Drive-up-and-around” might be a better description. When a customer pulls up behind the restaurant, a worker standing outside the back door walks up to the car to jot the order on a notepad, and then carries it inside to the kitchen. The driver pulls around to the front for a brief wait until another worker leans out a window to hand over a bag of hot food. 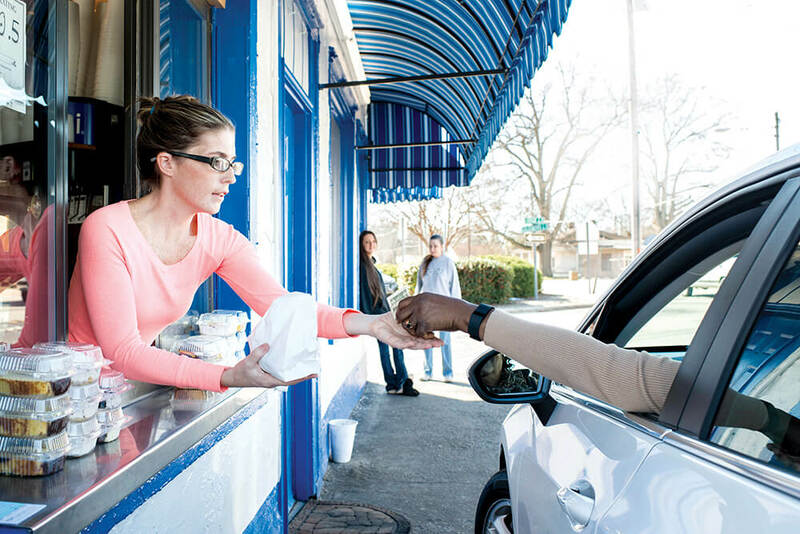 Friendships between the staff (many of whom have worked at Flo’s for long stretches) and the regulars are sustained by no more, and no less, than a few minutes in line each morning, year after year, biscuit after biscuit. All that, and a great big biscuit. Open 4 a.m. to noon, Tuesday through Saturday.